If the refurbishment in your home is drawing near you should really reconsider the idea of booking with a professional cleaning company. Otherwise, this big cleaning is on your shoulders and you have to spend couple of days scrubbing, cleaning, polishing. Does it sound tempting? 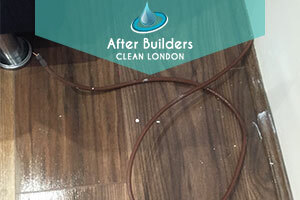 We guess not and that is why we offer you to take advantage of our excellent after builders cleaning services available in London. Our skilled technicians are able to eliminate all paint marks, glue stains and any form of waste. They will leave your home sparkling! Our company has been in the cleaning sector for several years already, which is long enough to know how to always perform outstandingly and meet our hundreds customers’ expectations and requests. Save yourself the troubles and book with our company if you wish your home to be in pristine look again. For us every single customer matters. We believe that you deserve only the highest quality of service and that is why we are always ready to provide you with such. Moreover, we have set economical and affordable prices to fit even the most strained budget. Do not think twice and we can amaze you with our cleaning performance. Give us call and you will see for yourself. We provide the service in areas like Brixton. Our cleaning teams consist of hard working and highly skilful technicians who posses the necessary expertise to deliver an exceptional after builders cleaning. Give them a chance to sanitise and disinfect you property after small repairs or big renovations and we can promise you that you will be surprised at the outcome. Our cleaners are able to cope with any cleaning job. They know how to tackle any situation and challenge, getting you rid of all kind of grime and spots, left by the builders. 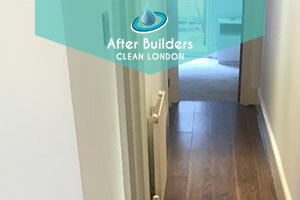 So if you are in quest of a competent after builders cleaning service you are invited to give us a call or visit one of our offices in London. We can provide the best care of your home! Count on us.